It’s just few weeks before Holiday shopping officially starts. With all the exciting sales and discount promos that will be happening beginning on Thanksgiving Day, you are sure to find trendy fashion pieces to include in your holiday jewelry collection. But before you go into your jewelry shopping escapade, let us first go through different jewelry boxes to help you organize your jewelry and accessories. Instead of digging through piles and piles of bracelets and necklaces before deciding which one to wear with your outfit, why not get yourself a lovely jewelry box for easier and clutter-free collections. Here at Nilecorp, we bring you different jewelry boxes in stylish designs to help you organize your collection and help you get through some of your biggest jewelry dilemmas. From wood jewelry boxes to glass top boxes, you can surely find jewelry organizers that can accommodate all your accessories. Take a look below and find five jewelry boxes that you can include in your wish list this year. 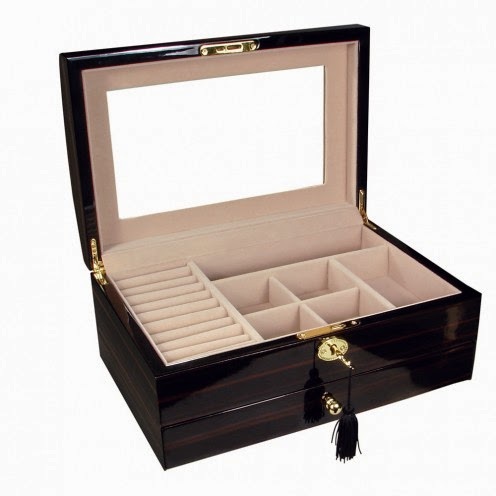 This high gloss Jewelry Box is beautifully made from high quality timber. It has a high gloss piano finish that adds extra dash of elegance to your jewelry collection. It has multiple compartments with velvet inner lining to keep your rings and necklaces free from scratches. 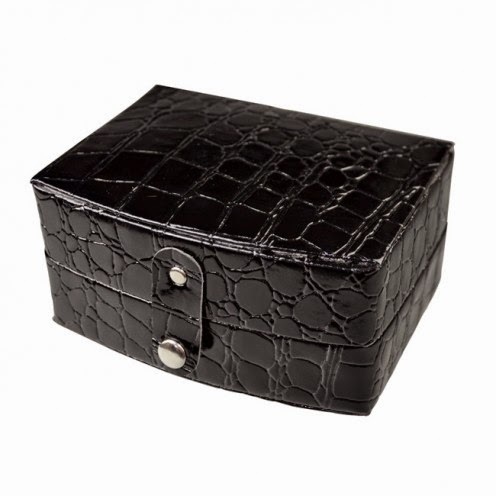 This jewelry box also comes with a lock and key to keep your collection safe and secured. Packing your belongings every time you travel can be a hassle, especially if you don’t have the right organizer to keep your belongings safe inside your bag. This leatherette jewelry box can let you has enough space for large piece jewelry like bangles, statement necklaces and even brooches. Another jewelry box that you can easily bring anywhere you go, is this round type jewelry box from Nilecorp. It has three level jewelry organizers that lets you keep some of your collection when going on vacation or whenever you need to bring an extra pair just in case you want to change into something more appropriate with your outfit. 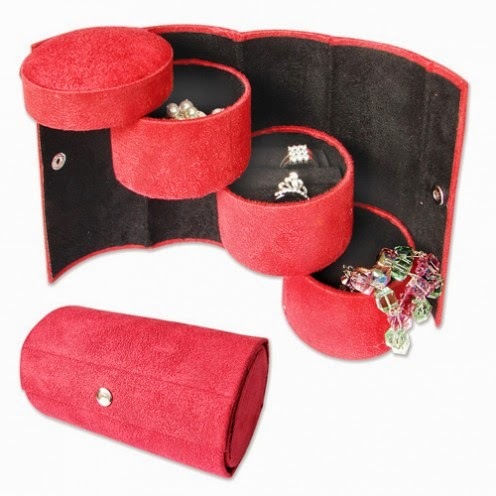 Create a new home for your jewelry collection with this velvet jewelry display box. 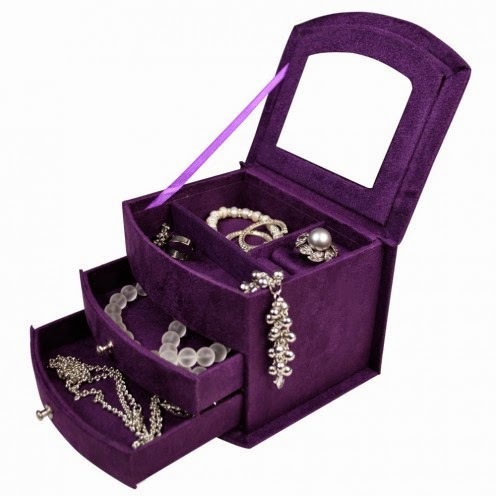 Available in purple and pink colors, this jewelry box is sure to make jewelry organizing fun and hassle-free. 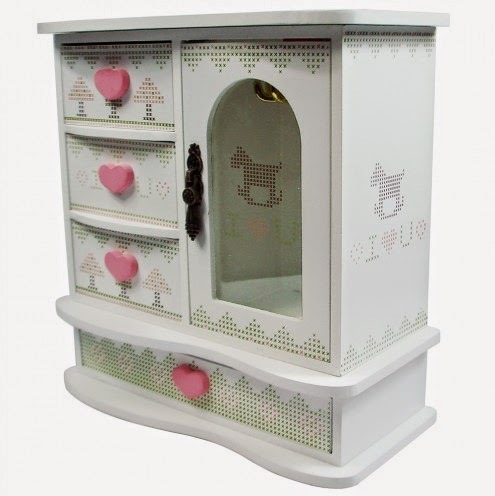 Imagine having this cute and adorable jewelry box on top of your drawer. It has small compartments that let you put small to medium jewelry pieces. This jewelry box is also a great gift idea to your friends who love collecting jewelry as much as you do. Do you love these jewelry boxes? Find more of these on our website and discover more creative ways to organize your jewelry.